← Spanish elections 2016: Has the Podemos-strategy run into it’s limitations? Illustrative head image: Collage of photos posted by diamond geezer ‏@diamondgeezer and daniel watson ‏@DWxLW in the days after Brexit. National averages are broad categories that can disguise a lot of important data so let’s not confuse that 64% as ‘the working class’. It’s not, it’s just a big segment of that part of the class that depends on doing manual work. Importantly a big section of this part of the working class didn’t vote on the day – the Ashcroft poll only talked to people who had voted and as we shall see this is an important distinction. 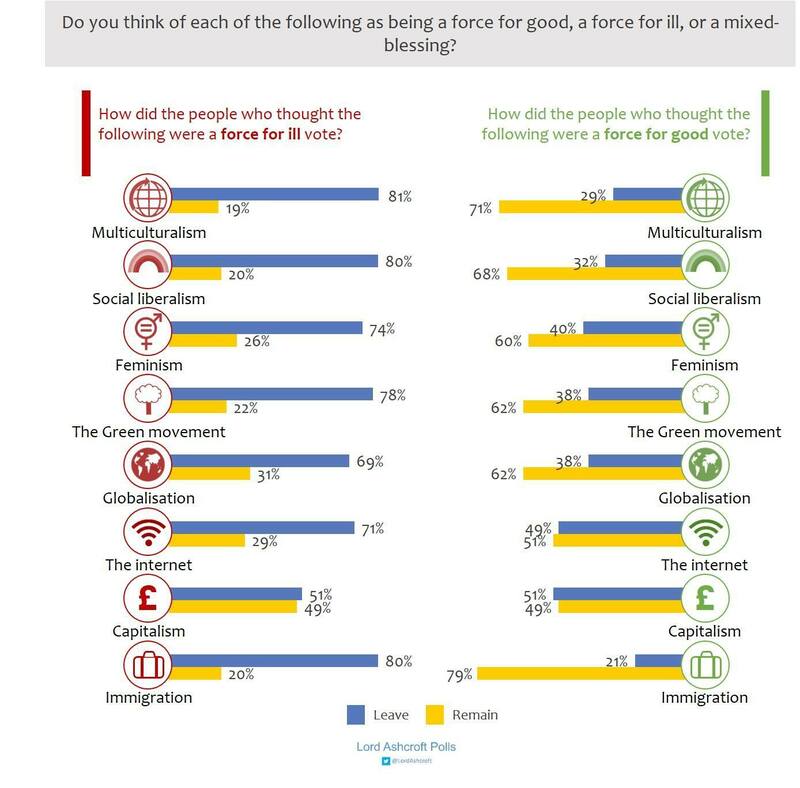 Again don’t misunderstand these numbers, it’s not that 74% of Leave voters were anti-feminists. 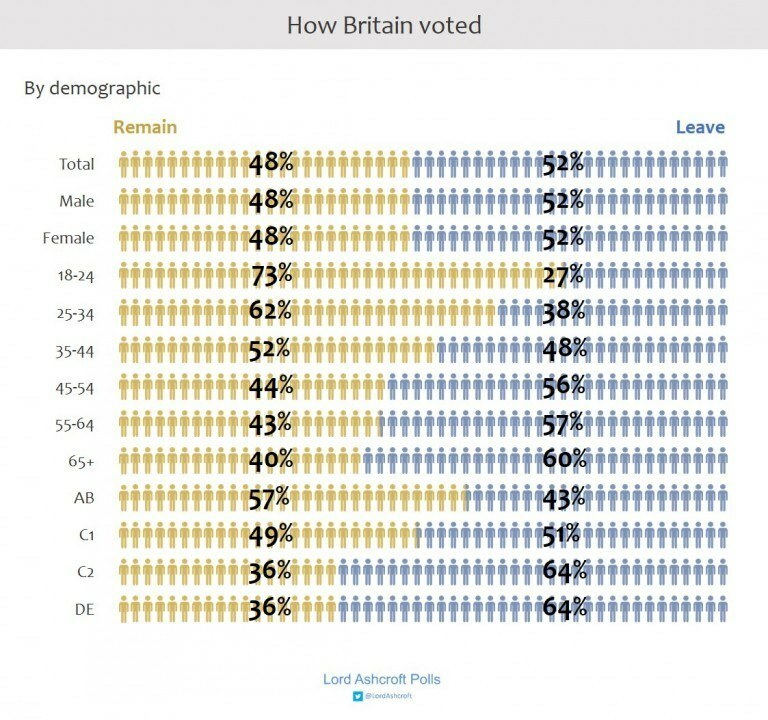 It’s that 74% of those who identified as anti-feminist voted Leave. 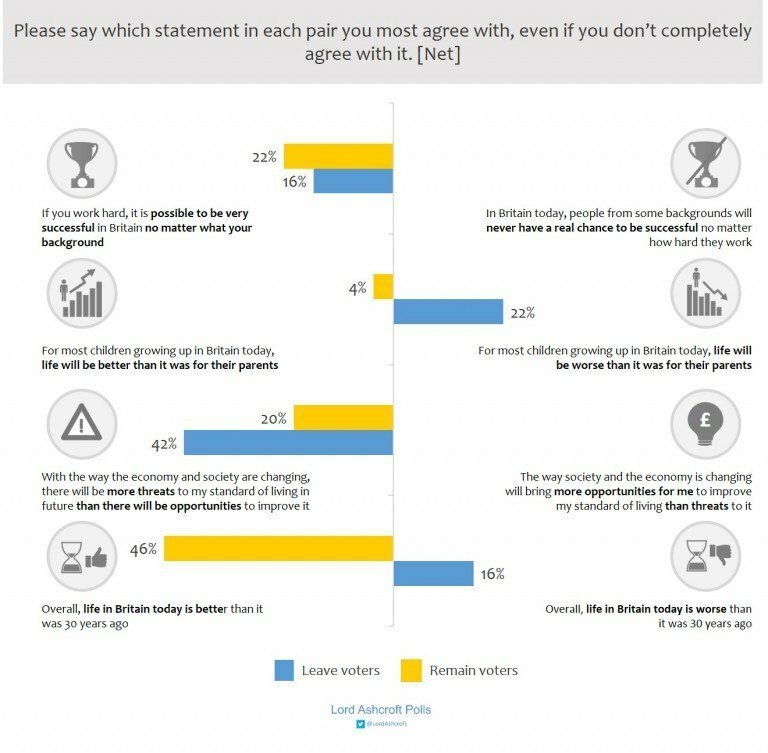 Ashcroft is a political pollster that used to do polls for the Tories – hence what seems at first to be a strange way of presenting the data, this is designed to identify blocs of opinion that can be easily mobilised. It identifies people hostile to feminism as a good target group to mobilise for a Leave vote. The Remain campaign reaction to the vote brought out the worst in elitist and unthinking class snobbery precisely because it refused to recognise that neoliberal capitalism has been a disaster for very many Leave votes. 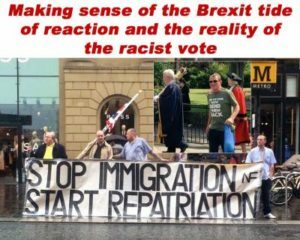 You’ll find my more detailed thoughts on all this expressed in Observations on Brexit and Lexit in the UK EU membership referendum and 10 point guide for post Brexit resistance as racist right wins EU referendum.